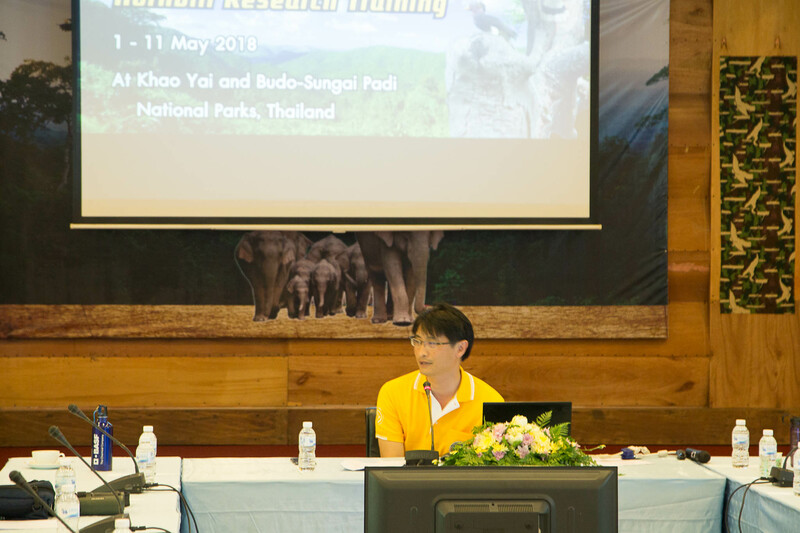 Hornbill Research Foundation (HRF) and the Department of National Park, Wildlife and Plant Conservation (DNP) are currently hosting the International Hornbill Research Training funded by HRF and Shera Public Company Limited between 1-11 May 2018 at Khao Yai National Park and Budo Sungai Padi National Park. 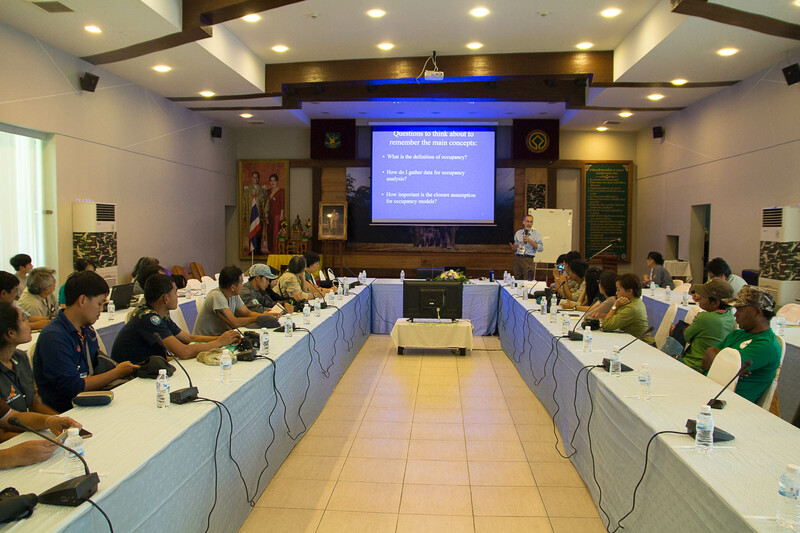 There are 12 Helmeted Hornbill researchers from Malaysia, Indonesia, Myanmar, and 1 Sulu Hornbill researcher from Philippines, 15 staff mostly from DNP based in southern Thailand and who are involved in the conservation of Helmeted Hornbill and 3 border patrol polices who are currently helping HRF with research joining our training. 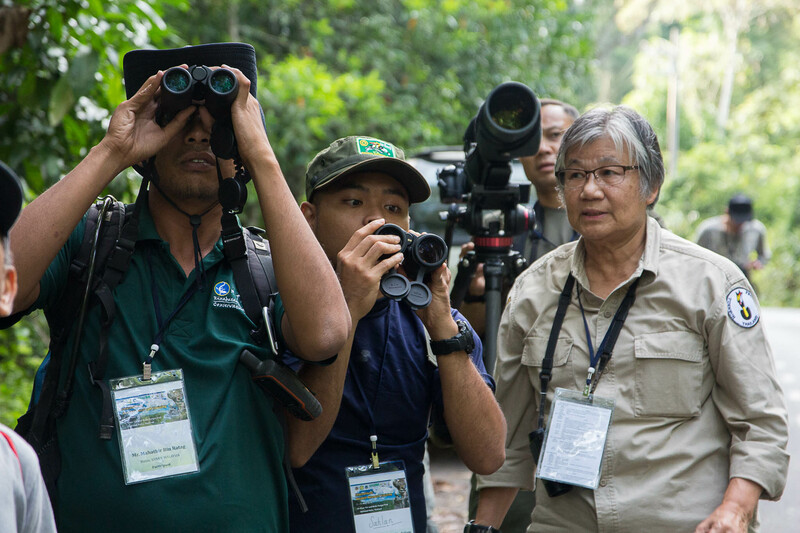 We strive to save Southest Asian hornbills for our future generations. 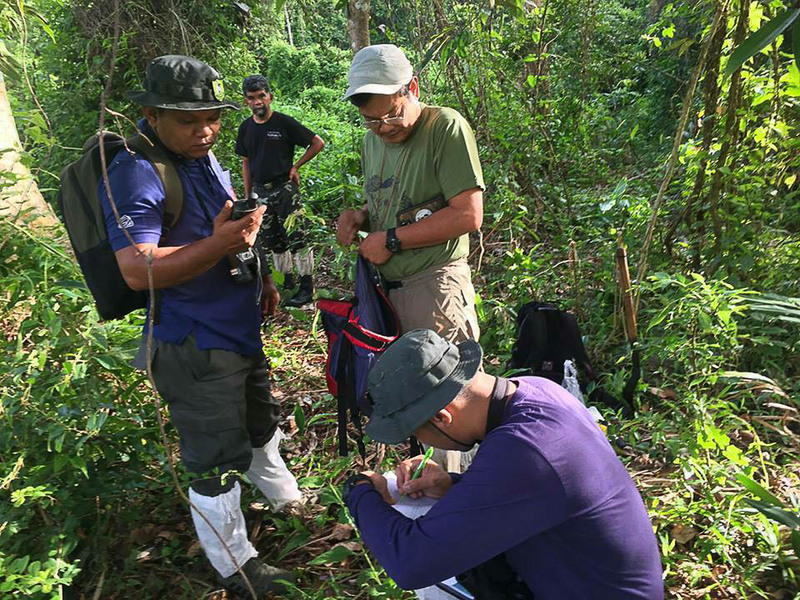 Hornbill habitat evaluation and monitoring. Lecturers and trainers: Emeritus Prof. Dr. Pilai Poonswad, Asst Prof. Dr. Vijak Chimchome, Assoc. Prof Dr. Utis Kutintara, Dr. Somying Thunhikorn, Assoc. 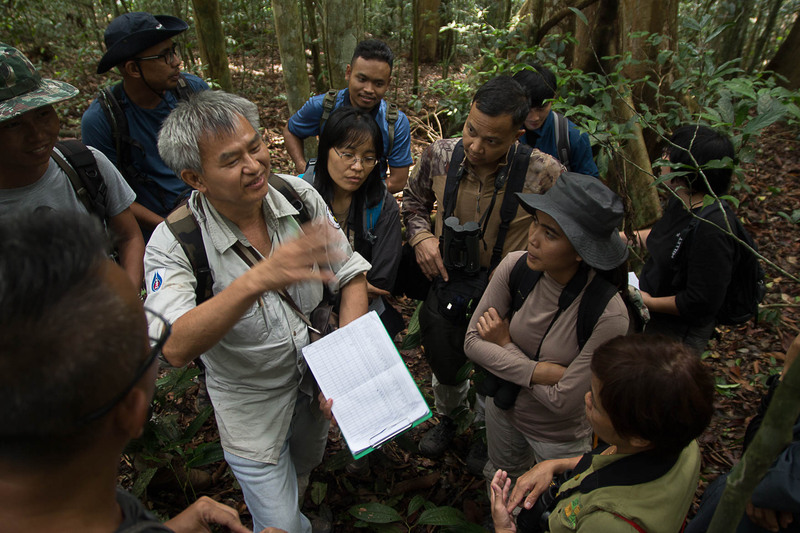 Prof. Dr. George A. Gale, Dr. Jiraporn Teampanpong, Mr. Sitthichai Jinamouy, Mr Chakorn Pasuwan, Mr. Narong Jirawatkavi and field researchers from Thailand Hornbill Project. 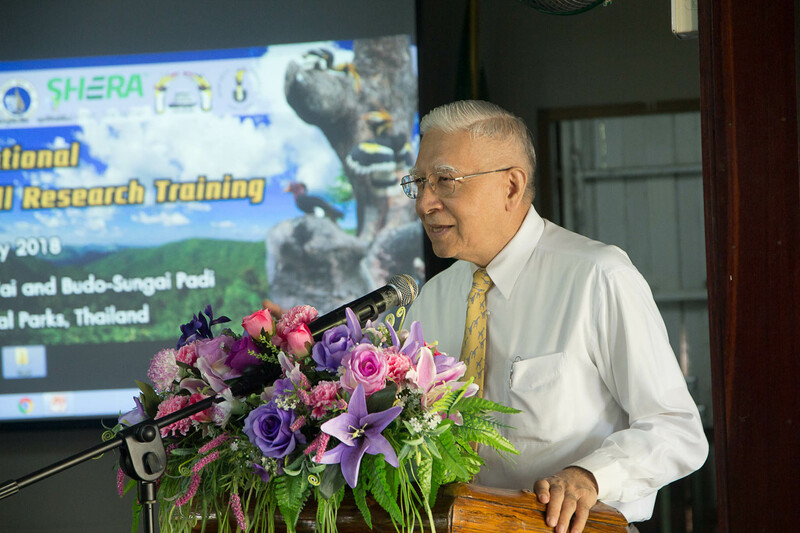 Welcome Address by Dr. Woraphat Arthayukti (President of HRF) and Opening Speech by Mr. Kringsak Chaturasuksakul, Director of Khao Yai Regional Training Centre, DNP, Thailand. 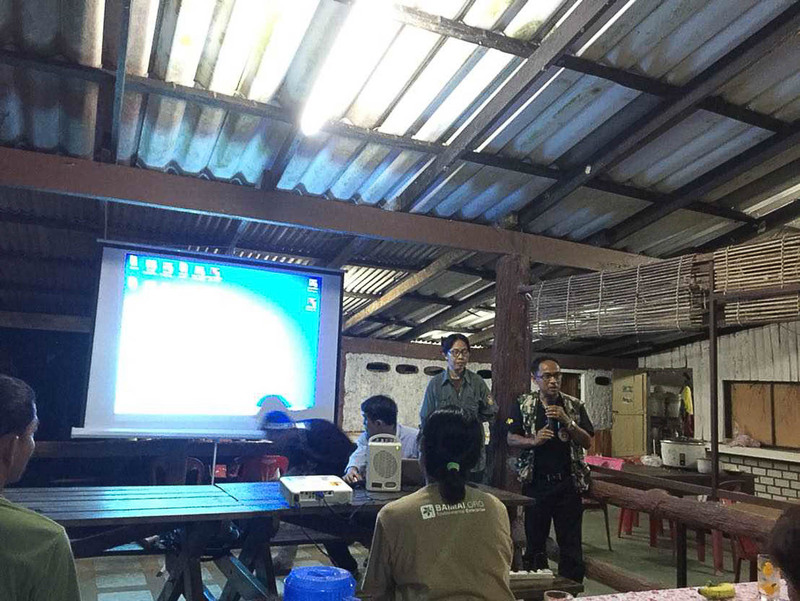 Dr. Pinsak Suraswadi, Deputy Director General of DNP, came to give the opening speech and view the Hornbill photo exhiition at the Khao Yai National Park Visitor Center. 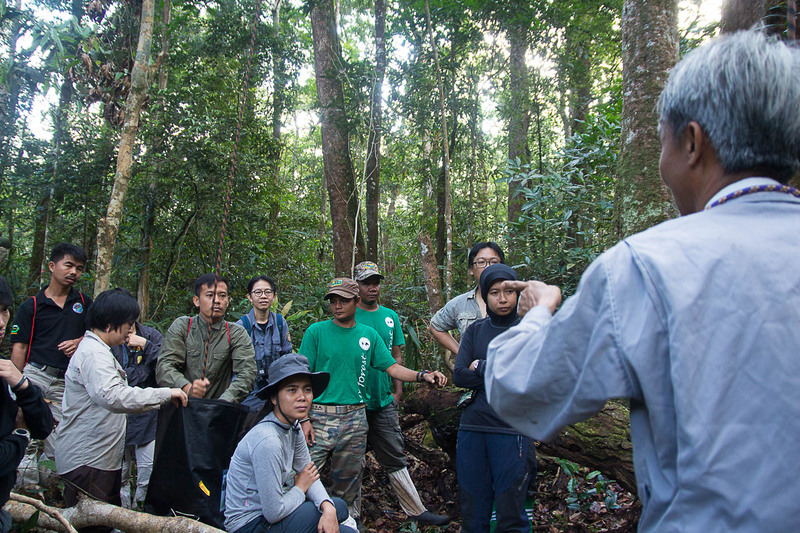 In the afternoon , the trainees were split into 4 groups and brought to a site for habitat orientation walk for 2 hours. 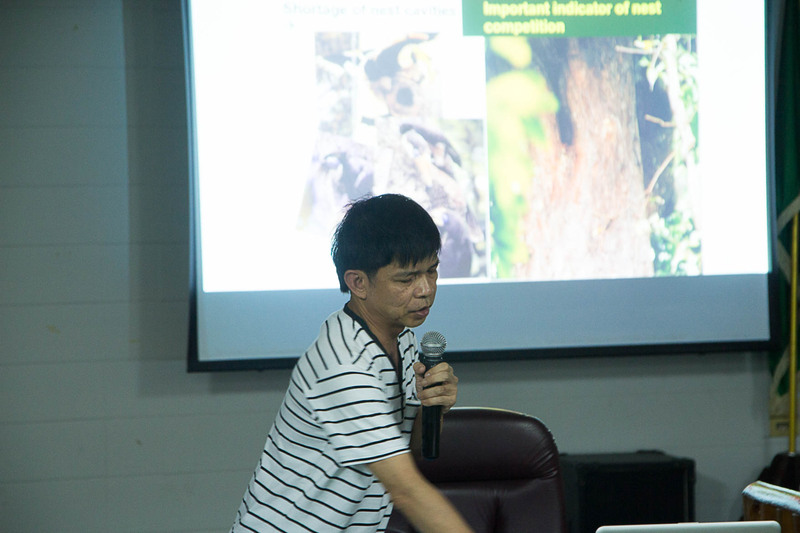 At night, lectures continued with Asst Prof. Dr. Vijak Chimchome presenting nest searching techniques and Dr. Jiraporn Teampanpong and Mr. Narong Jirawatkavi presenting Field Techniques for Hornbill Food and Feeding. 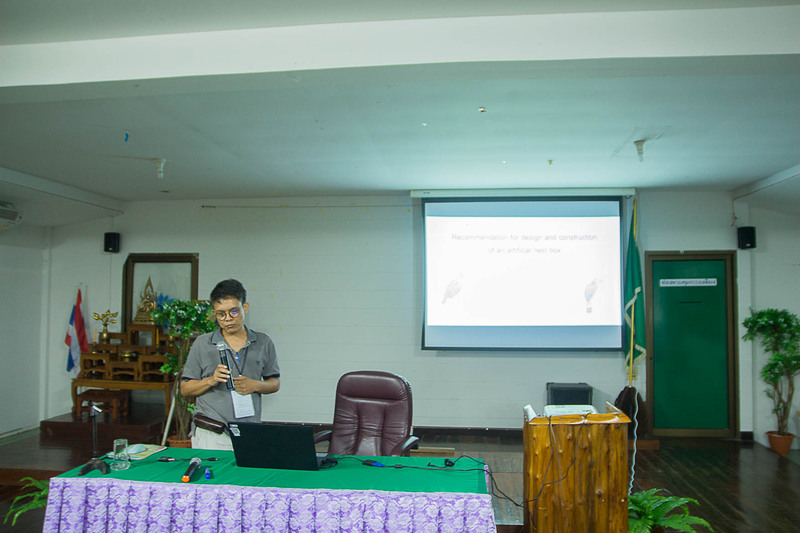 After dinner, Mr.Chakorn Pasuwan Form King Monkut University talk about artificial design and implementation followed by Dr. Vijak Chimchome gave a short briefing of the “Technique for Managing and Measurement of Hornbill Nest Cavity” and the reasons for doing that. 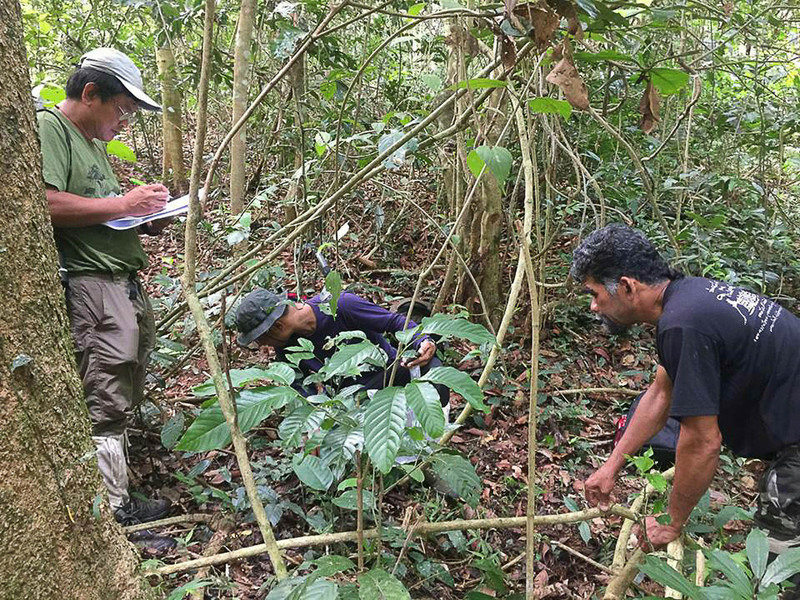 To be able to repair and improve nest cavities, it involves tree climbing as nest holes of Asian hornbills are usually 20m to 30m above ground. All trainees have to experience and practice in order to learn. 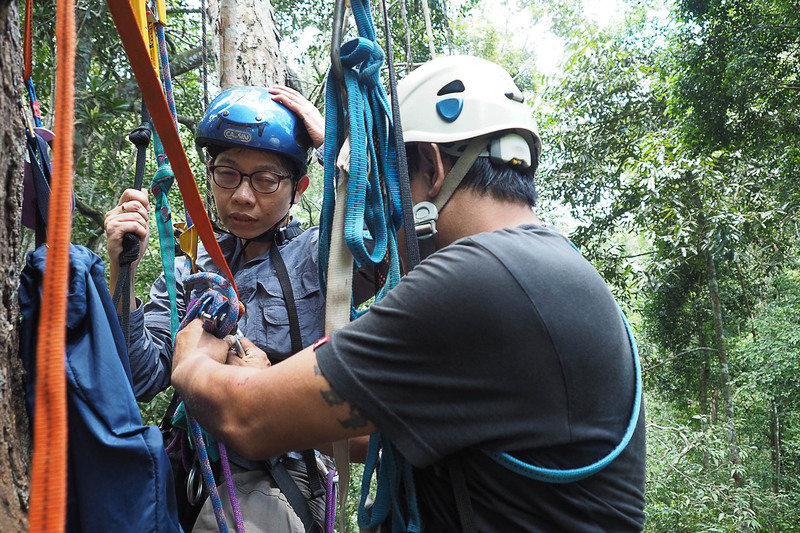 The next day 6th May, trainees were split into 2 groups and everyone of them have to try the tree climbing methods using ropes and gears. 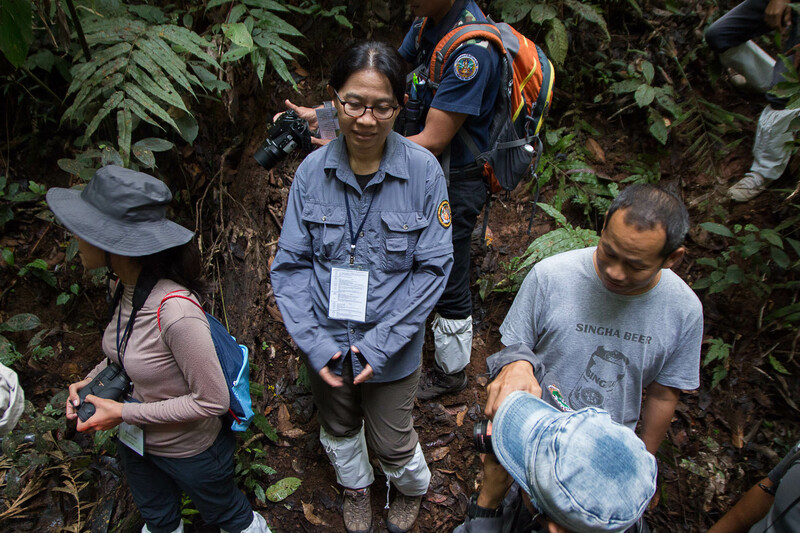 THP researchers helped them to put on the gear and guide them every step of the way. 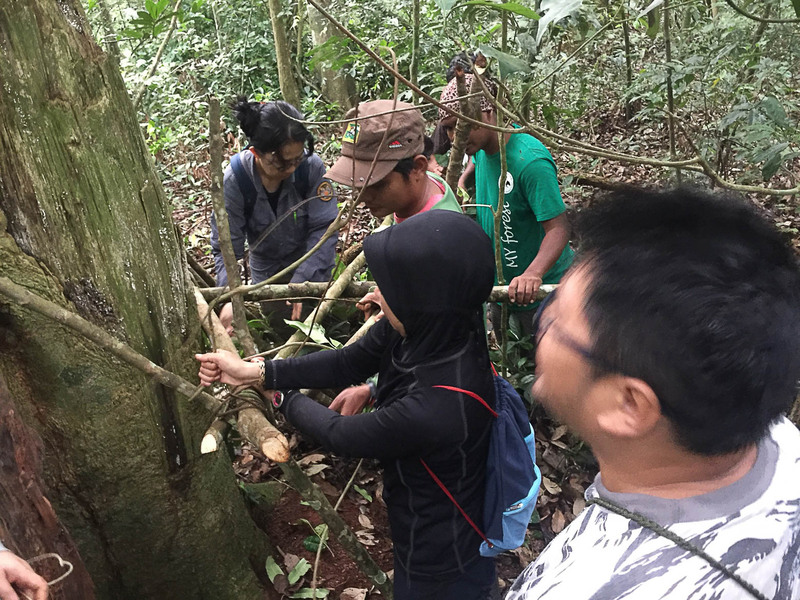 Some trainees encountered difficulties especially trying to push their way up the rope. 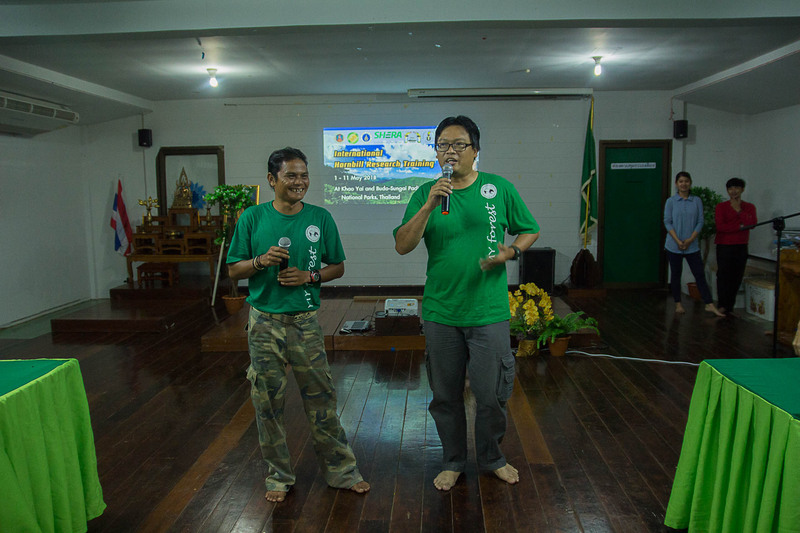 After dinner, a few of the trainees were encouraged to share their tree climbing experience and how they feel about it. 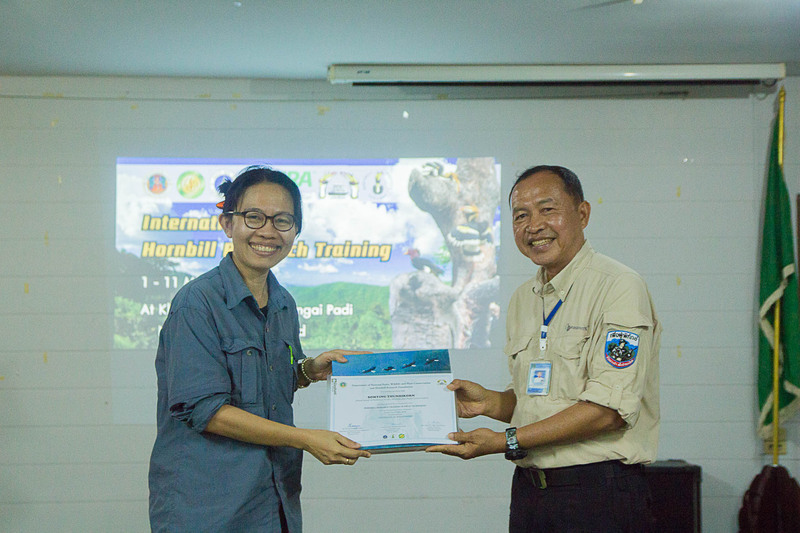 Mr. Kanchit Srinoppawan, superintendent of Khao Yai National Park presented them with their training certificates and a book on “Hornbills; A Thai Heritage – A World Heritage” by Dr. Pilai Poonswad. 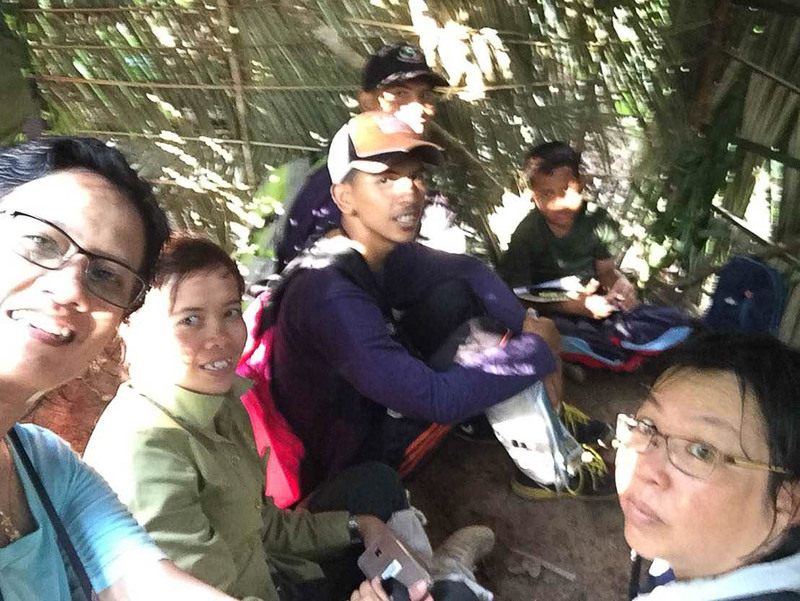 The training continued on 7th May with participants each climbing and trying their hands at nest repair and modifications. On 8th May, participants going to Budo Su-ngai Padi National Park have to depart early at 5am by van to Don Mueang Domestic Airport. 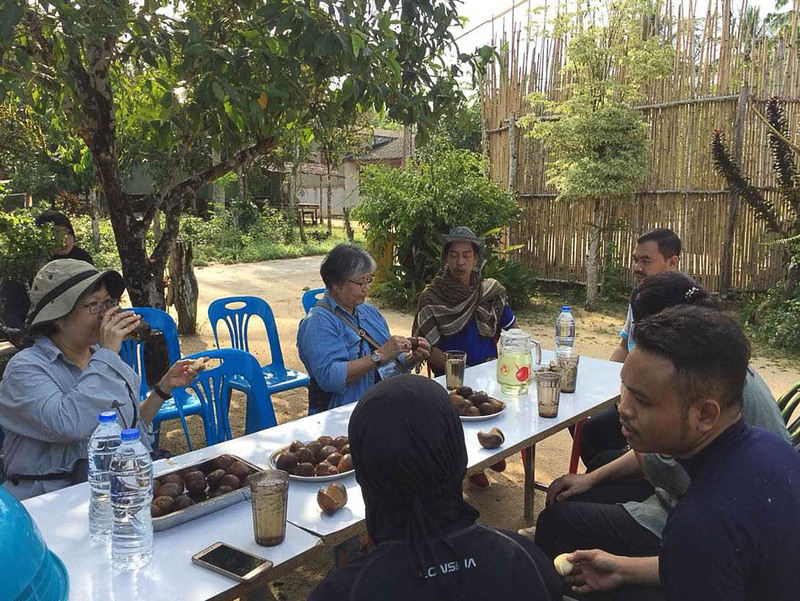 After lunch and settling into the rooms, participants visited the house of a villager where they met up with over 30 villagers who participate in the THP hornbill conservation program monitoring hornbill nests of several species each and collect data on the birds’ movements, diet, and behaviour. 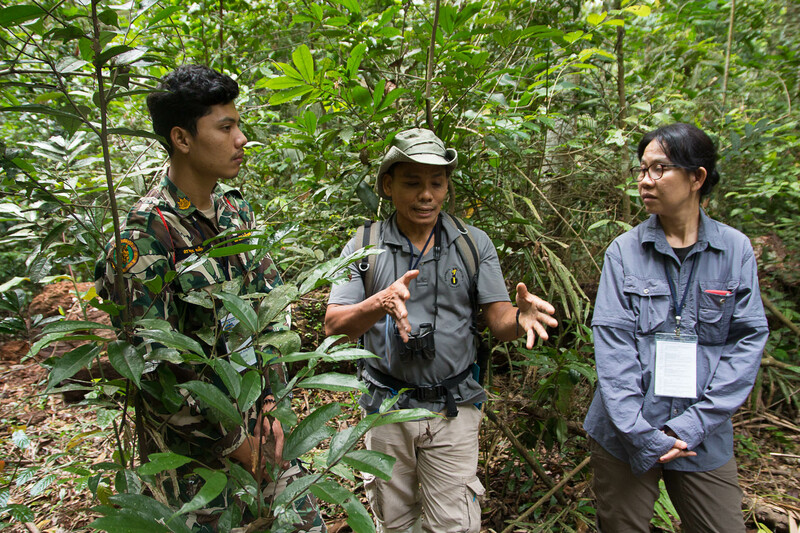 Participants also shared about their work and how many hornbills’ nests they have in the sites where they work. 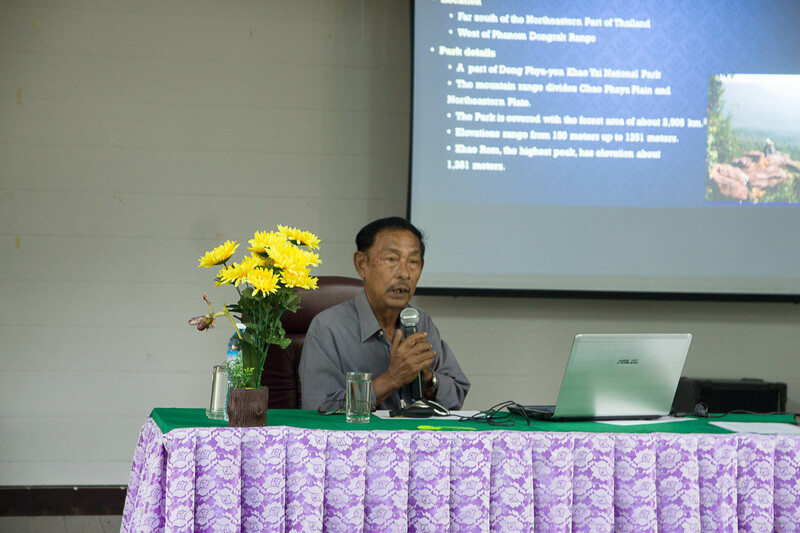 At night, Mr Sittichai Madsri, Superintendent of Budo Su-ngai Padi National Park, gave a Welcome Address and presented about their work and the sites. 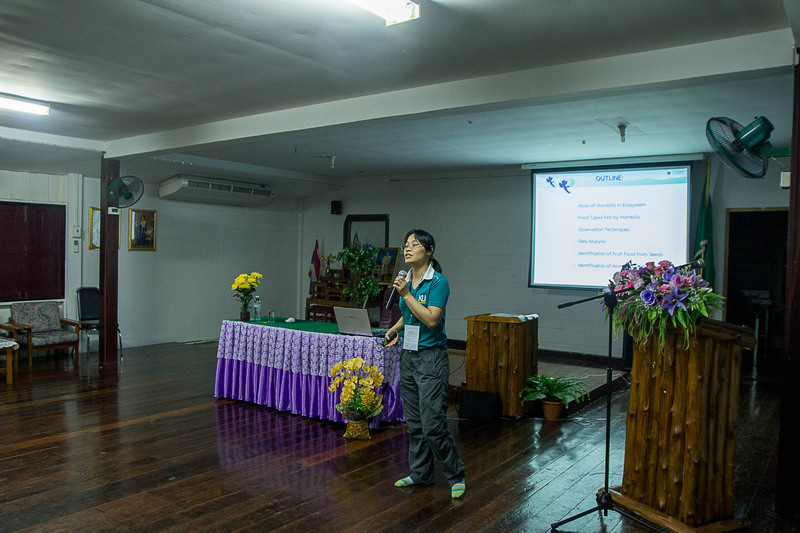 After that, Dr. Pilai Poonswad gave a talk about how she start the hornbill conservation work in Budo and how she approached the villagers, terrorists, former loggers and poachers and eventually convinced some of them to help with hornbill research work there. 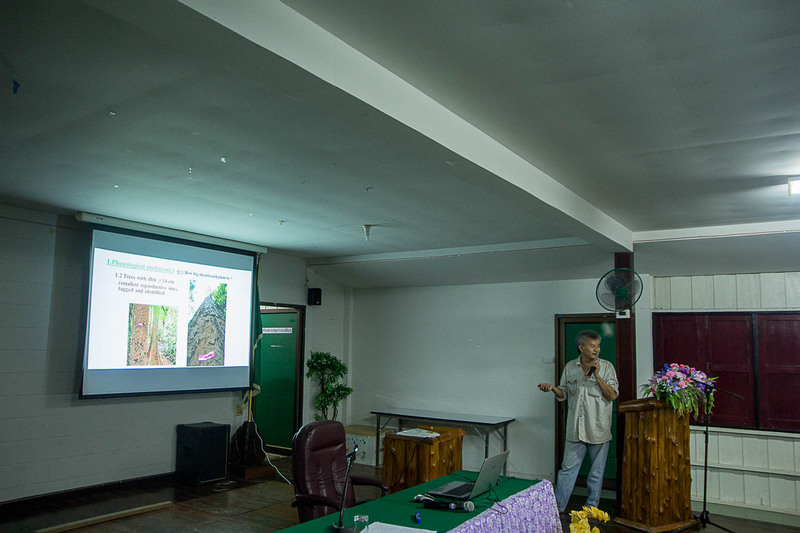 Dr. Vijak Chimcome then gave a short lecture about hornbill population survey and monitoring at this site. 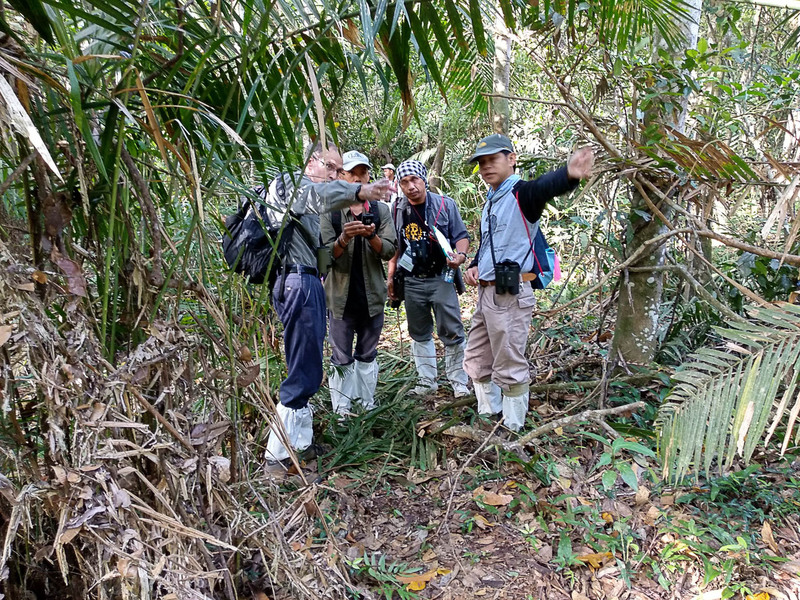 The next 2 days, participants were split into groups visiting and observing nests of Helmeted, Great and Bushy-crested Hornbills. 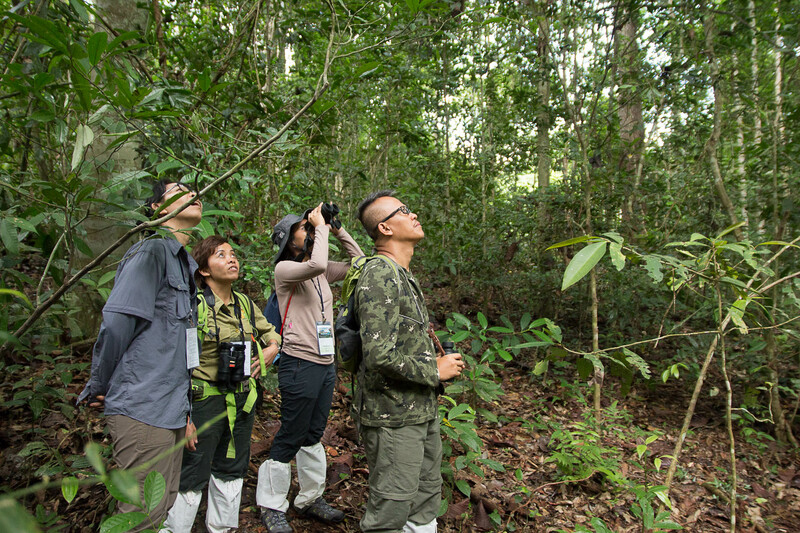 All participants were given the opportunity to visit the Helmeted Hornbill’s nest. 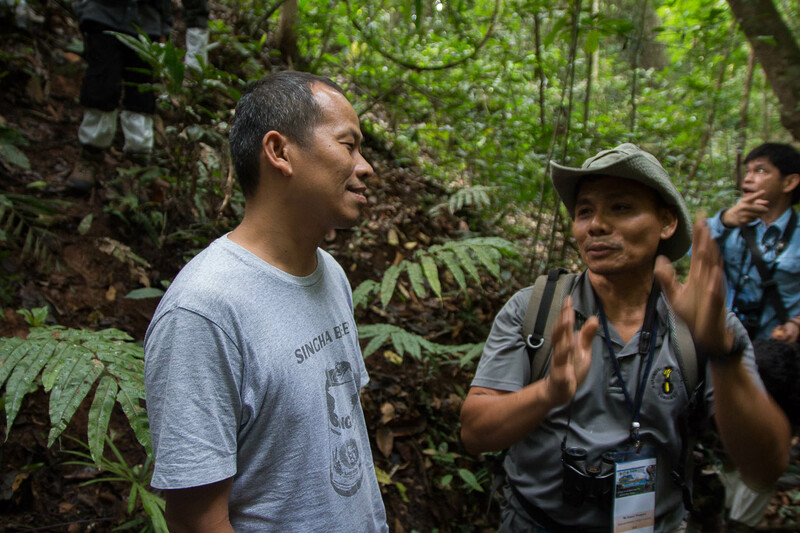 Dr. Pilai found out that one of the Great Hornbill’s chick at a fruit orchard of a villager was stolen. Police were called to investigate this matter. 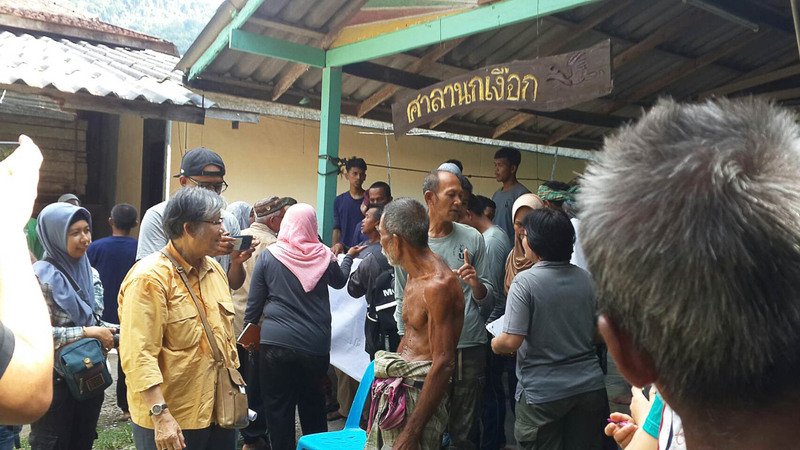 On 9th May, participants also visited 2 villager’s house at Kapor, Pattani. 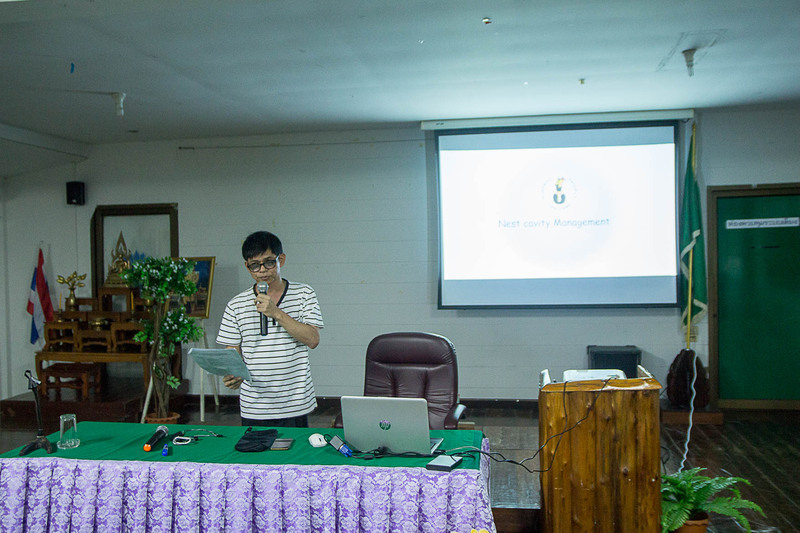 The headmen and municipality personnel discussed with participants what they are doing and how they can improve the income of villagers there. One of them have set up an ecologically friendly and self-sufficient farm with fruit orchards and farm animals, a great model for all villagers in the area. 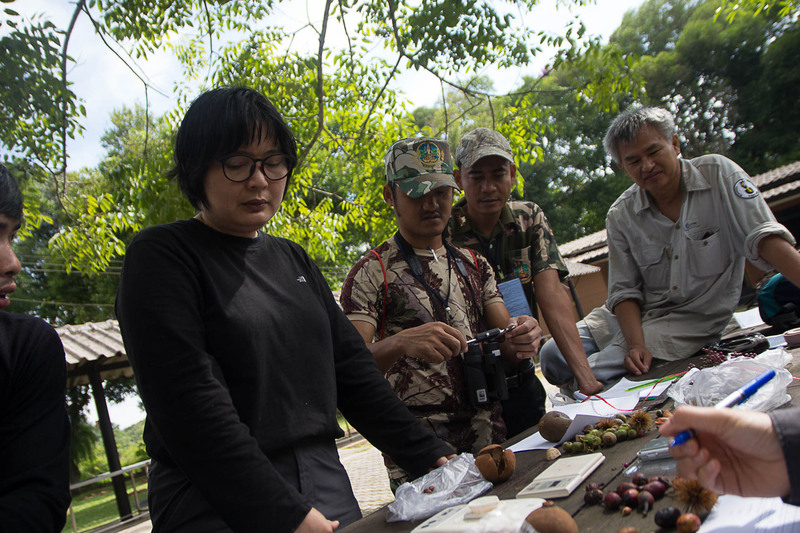 The last day of the training, participants visited Hala-Bala Wildlife Research Station to observe Rhinoceros Hornbill’s nests. The female and chick have already left the modified nest. After lunch, we visited the Khok Mai Ruea Wildlife Breeding Station in Narathiwat. 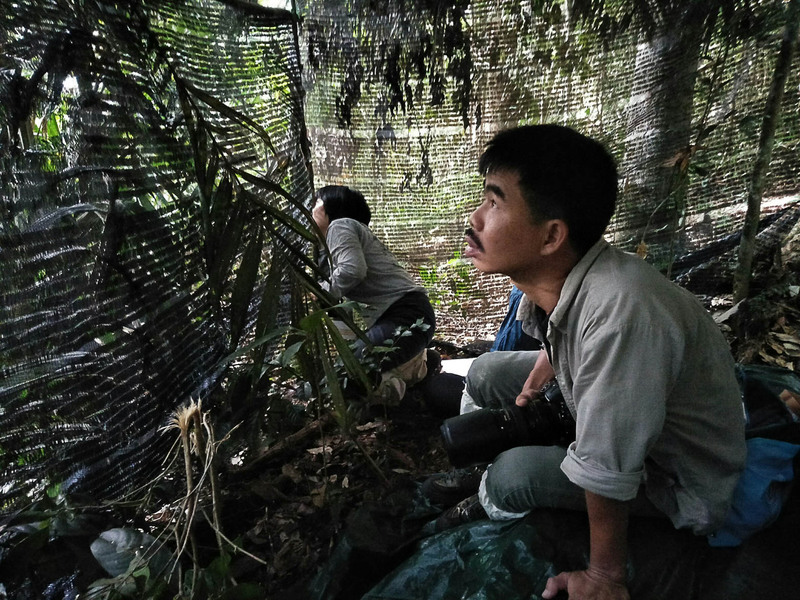 There were many confiscated hornbills and other wildlife. 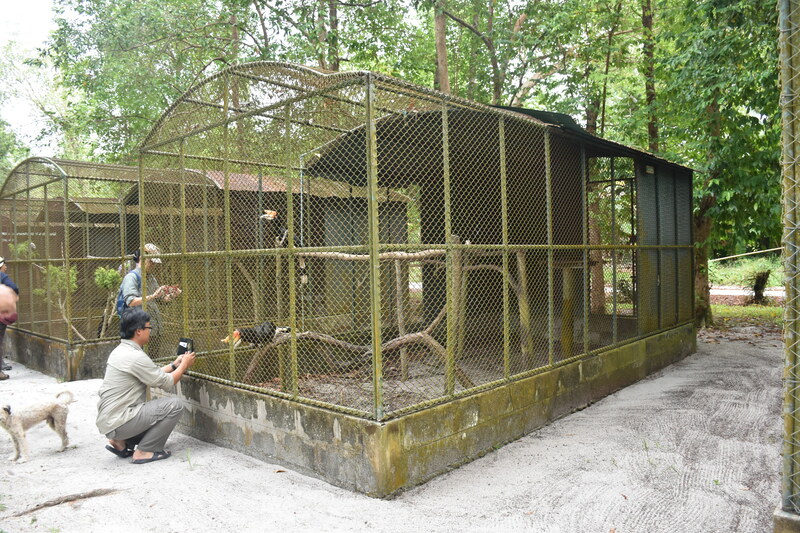 The staff are still trying to captive breed the Great and Rhinoceros Hornbills. They have more success breeding mouse deer. 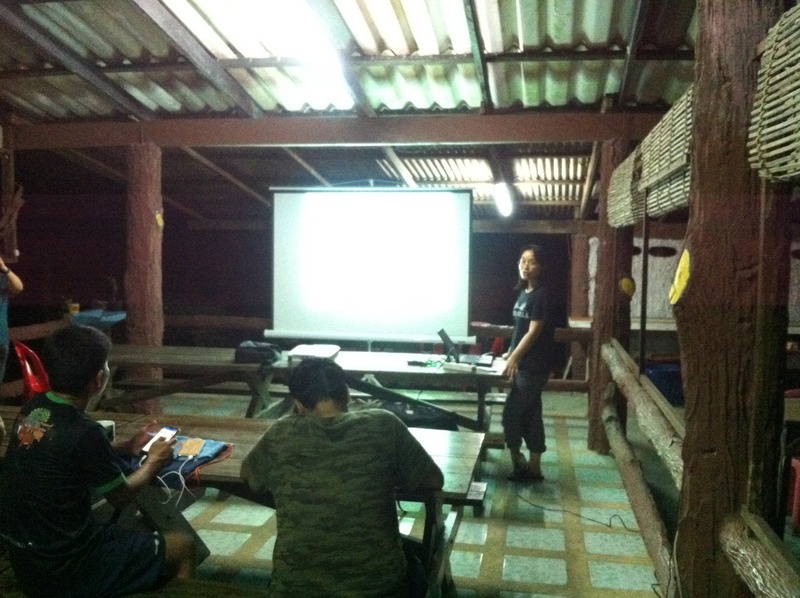 At night, Dr. Jiraporn gave a talk about her community-based conservation work and challenges in Ratburi province with Karen tribes. 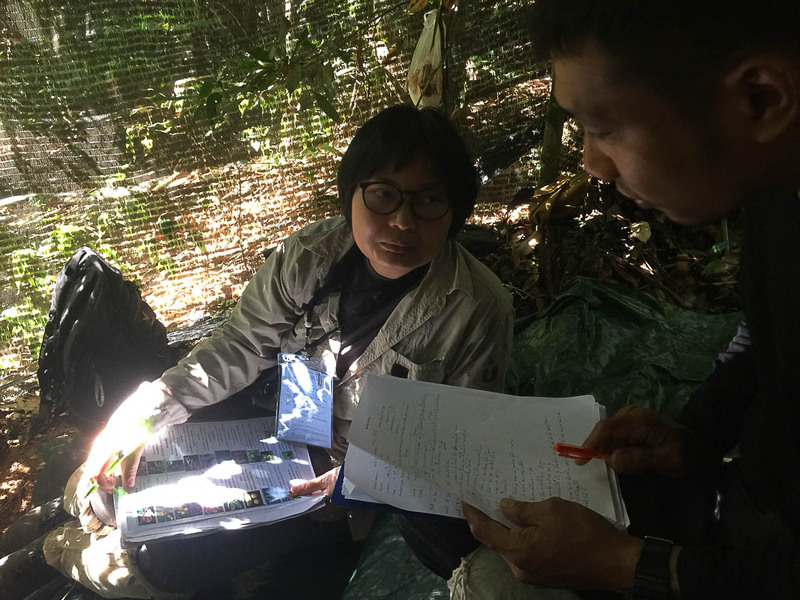 Her work there is modelled after Dr. Pilai’s work in Budo Su-ngai Padi National Park. 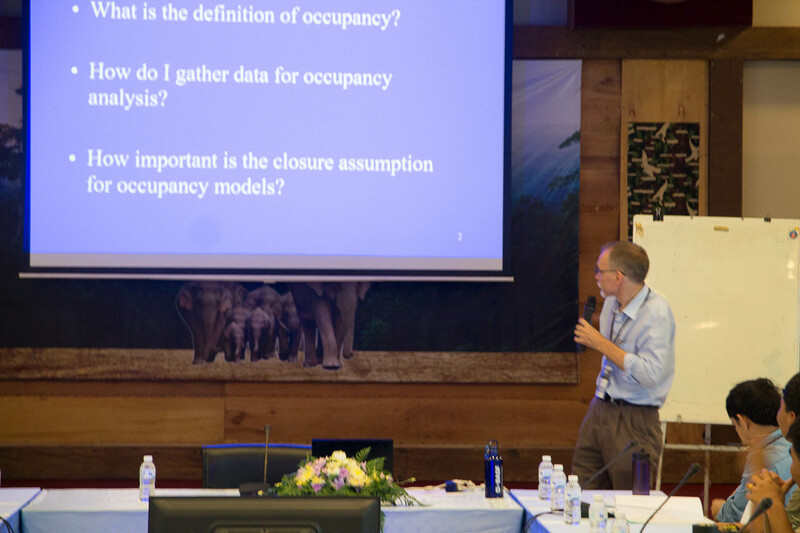 The organising committee would like to thank DNP for allowing us to use the facilities at Khao Yai NP and Budo NP during the training. 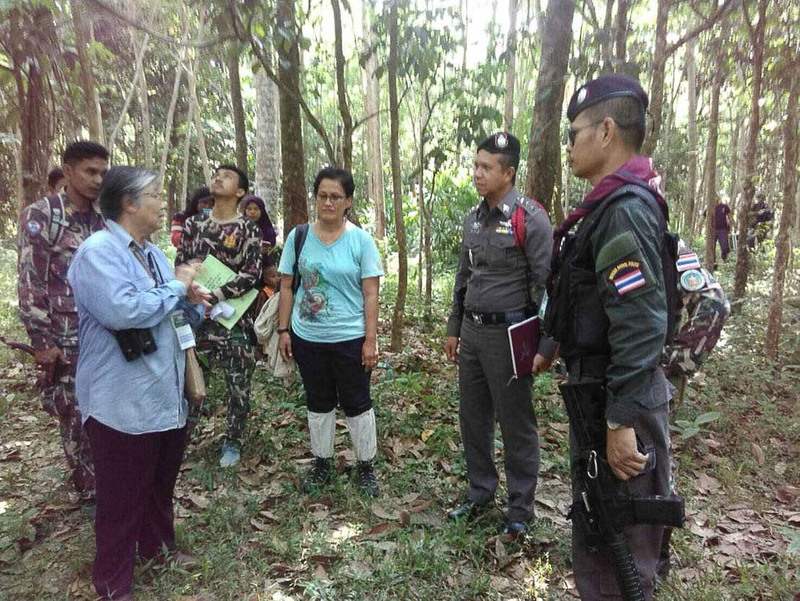 Thanks to all lecturers and Thailand Hornbill Project research team members and villagers in Budo NP for supporting the training. 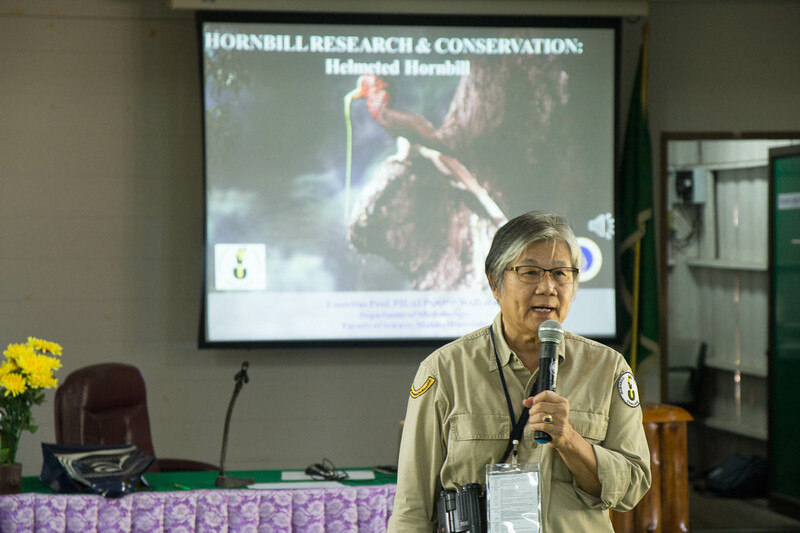 We hope that all participants will continue their hornbill research and conservation work in your countries. 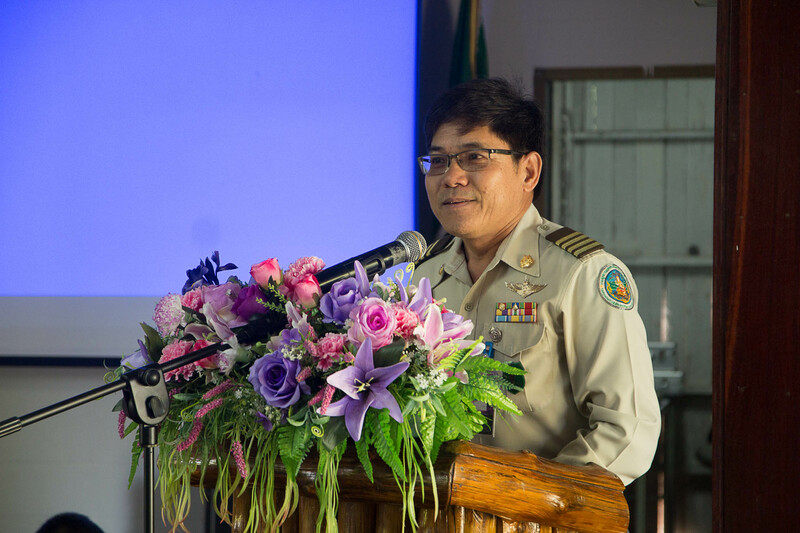 This training program is supported by DNP, HRF and SHERA.